At Total Chiropractic Care and Wellness, we know vertigo is more than just a film directed by Alfred Hitchcock. If you suffer from vertigo it can be scary. You can feel like the room you’re in is suddenly spinning. You’ll feel unbalanced and you may start to sway or feel pulled into a single direction. If you have vertigo, you’ll likely really want your symptoms to stop. But can vertigo really be treated by a chiropractor? You might be surprised to learn that chiropractic treatment can help those who suffer from vertigo. At Total Chiropractic Care, our practice is dedicated to keeping our patients healthy without drugs and surgery. Whether you’ve suffered long-term back pain, suffered a whiplash injury in a car crash or were injured on the job or participating in sports, we can help you achieve optimum health with chiropractic techniques and other services such as Spinal Decompression, Trigger Point Therapy, and Magnesphere Therapy. We don’t believe in a cookie cutter approach to treatment, and we’ll work with patients to come up with a treatment plan customized for you. We believe in the education of our patients, so we want to tell you about how chiropractic care can help treat vertigo. According to Healthline, vertigo is defined as the feeling that you’re moving when you’re not. It’s a common medical complaint and patients who experience vertigo often feel something similar to motion sickness. Benign Paroxysmal Positional Vertigo (BPPV) is a type of vertigo that occurs when you change the position of your head caused by calcium crystals floating in your ear canal. Meniere’s Disease is an inner ear disorder that can cause problems with your balance and hearing. Acute Peripheral Vestibulopathy (APV) is a condition that causes sudden Vertigo due to inflammation of the inner ear. Cervicogenic Dizziness is dizziness associated with neck pain that occurs during neck movement. Symptoms can last from a few minutes to a few hours and sometimes vertigo simply goes away. However, there are several chiropractic treatments available for vertigo. 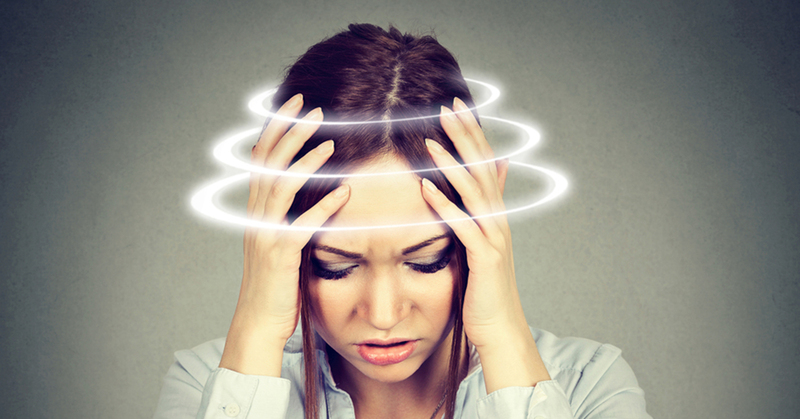 There are several chiropractic treatments that can be helpful to Vertigo patients. According to the website Healthfully, studies have shown that chiropractic manipulation has a 90 percent success rate in Treating Cervicogenic Vertigo. Your chiropractor might try positioning maneuvers to keep debris in your inner ear from going into sensitive areas. There are also exercises which target the vestibulocochlear system and can help ease vertigo. Tai chi exercises, which emphasis long, slow movements have also been known to help. Diet and other factors such as cutting down on tobacco and alcohol can help as well. If you’re suffering from vertigo or painful conditions that can be helped by chiropractic care, Total Chiropractic can help. We can treat you with non-invasive techniques and help you avoid surgery and potentially addictive medications. Contact us today.